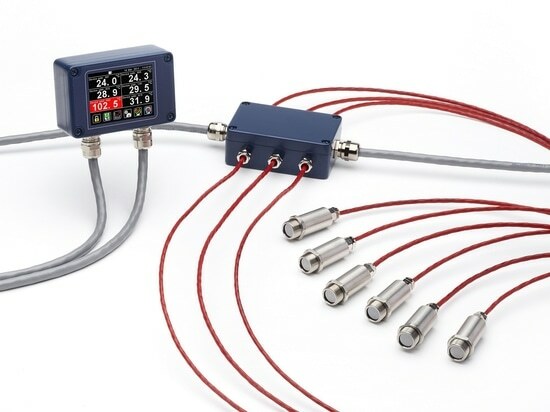 Modern, non-contact temperature sensors are commonly being used to replace traditional contact thermometers in industrial applications. 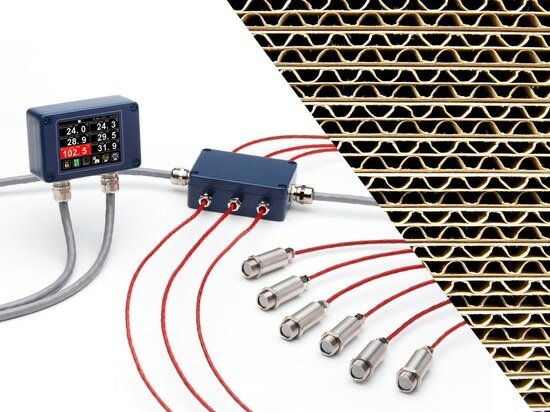 Traditional thermocouples have several drawbacks including slow response times and wear due to friction and vibration, which are easily and quickly overcome by replacing the sensors with non-contact pyrometers. The new PyroNFC-K makes it easier than ever to make this change. 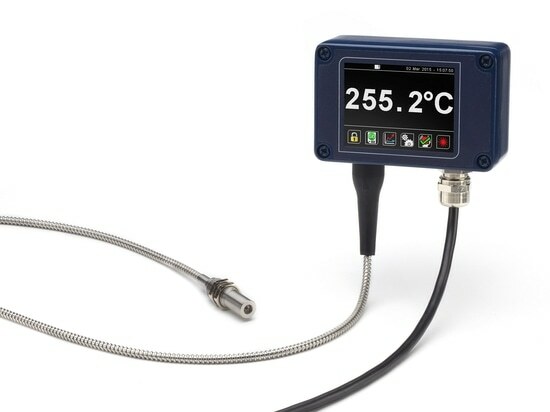 The sensor has a response time of 0.125 seconds, and provides a simulated Type K thermocouple output. This can be connected directly in place of the previous thermocouple probe - then just apply 6 to 28 V DC to the sensor's power wires and start measuring. 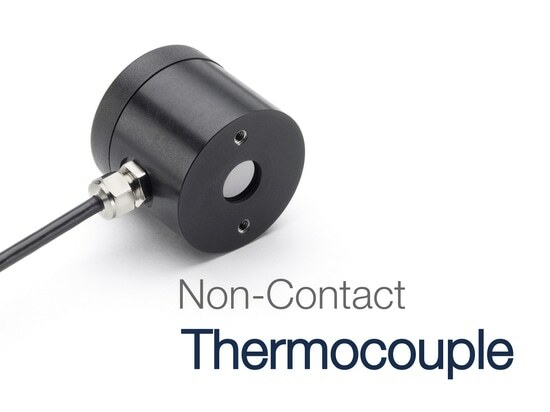 A repeatability of +/- 0.5°C or 0.5% provides consistent readings to help ensure good product quality in manufacturing processes. For accurate measurements on a variety of materials, the emissivity setting is adjustable. With default settings, the sensor will measure non-reflective non-metals accurately straight out of the box. Configuration is via NFC using an Android smartphone and our free app (search "PyroNFC" in Google Play). An alarm output is also included. 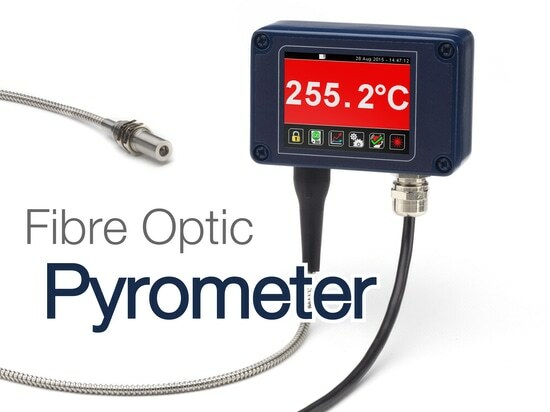 This can be used at the same time as the temperature output. The PyroNFC is available with quick delivery from Calex and our distributors worldwide. For more information, please contact us.